NeuronDMS based on SaaS technology, is a booking and marketing system for global tourism. NeuronDMS aims to promote information management capability of its users, helping you embrace internet, join global mainstream OTA platform and establish online proprietary distribution network, and with combination of data analysis function researched for tourism industry, it helps make comercial desicions. 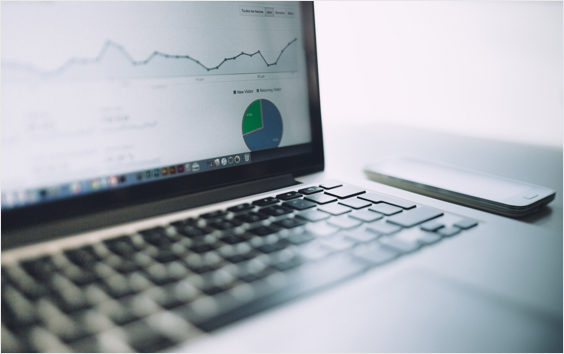 We provide many utility functions to help you and your team build up your own management procedures, promoting order efficiency while reducing operation cost. 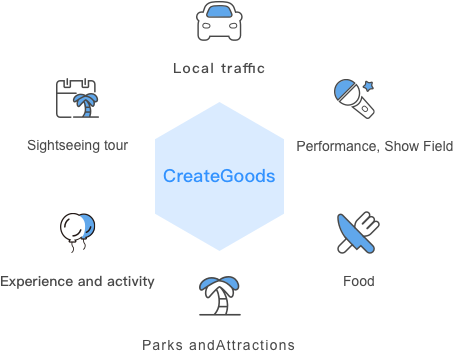 We provide product management of all categories, including all tourism products in all destinations like "day tour", "scenic site, performance tickets", "chartered car, airport transportation". Simple product setting help you complete product creation and sale in stock without too many contents to fill. For those products that needs more contents or information of order placers, we provide more detailed setting functions to help you manage products more efficiently. MAINTAIN STOCK OF DIFFERENT PRODUCTS AND ALLOCATE RESOURCES PROPERLY TO PREVENT OVERSALE. Different products have diversified inventory resources. Flexible inventory management help you arrange daily resources available properly to solve inventory difficulties of trans-product, trans-time period and trans-performance. We provide different solution for relevant inventories. Daily inventory：Daily product available is fixed. The next day the inventory will be reset after it has been sold out the day before, which applies to car renting, sightseeing boat, performance, scenic site ticket, etc. Total inventory：Total number of product is limited, and it will be sold out in a period of time without reset function, which applies to stockup goods. 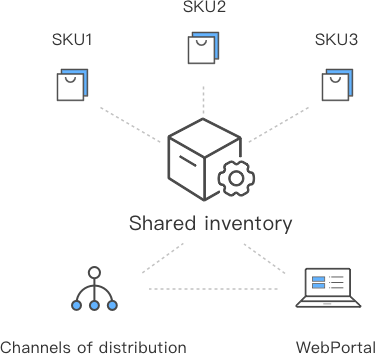 Inventory sharing：Stock amount in different SKU, session and time, which applies to different product or SKU possessing same invetory. 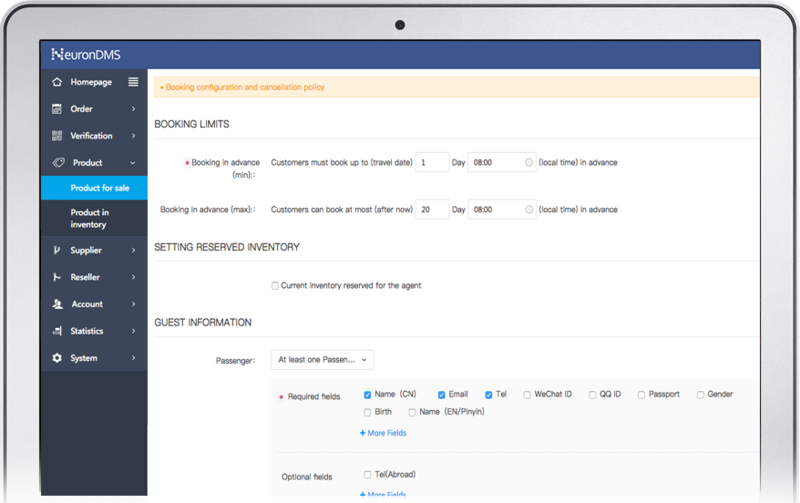 BOOKING CONFIGURATION, PROMOTING ORDER INFORMATION INTEGRITY AND REDUCING SECOND INQUIRY OF TOURIST. Configurable booking information, helping you preset information that must be filled and chooses to fill, like hotel address, client gender and more contact information, etc). Engough booking information can be collected when order placed, no need to call user again, which is convenient for you to complete follow-up booking procedures successfully. MANAGE ORDERS FROM DIFFERENT CHANNELS WITH UNIFIED PROCEDURES. 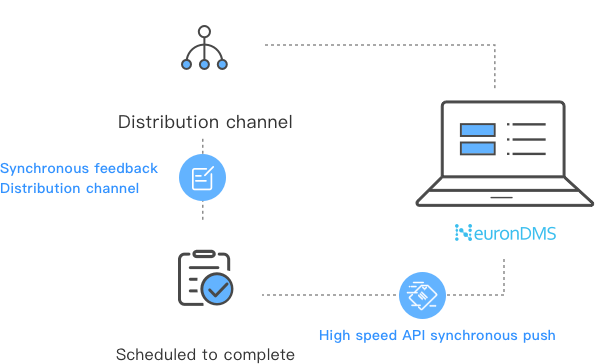 NeuronDMS currently has linked with several domestic OTA distribution channels, with high-speed API direct link to distribute orders. NeuronDMS provide various order placement ways to match related distribution channels, including API push, manual import, bulk order import,etc. Please choose according to your business requirement. NeuronDMS provide a set of standard order processing procedure. When orders from diversified channels come into the system, orders can be processed with unified standard procedure. AUTOMATIC CONFIRMATION OF ORDERS BY SYSTEM TO REALIZE NONSTOP BOOKING WITHIN EVERY 24 HOURS. Further perfect your inventory configuration, realize automatic confirmation of orders, and send Voucher. No need for manual operation for the whole procedure. We provide diversified solution to tackle relevant inventory. Upload your Voucher (PDF, JPG) in advance. Confirmation email will be sent after the confirmation of system. It is allowed to create confirmation code automatically by the system, and confirmation email will be sent. When previous setting completed, the system will automatically complete the confirmation after order is placed. And it will send confirmation email to the receiver you designated. Customized confirmation letter template for distributors, including different LOGO and email topic. WHY DO WE CHOOSE NEURONDMS? Choose NeuronDMS will precisely solve your actual problems and enjoy continuous service support provided by UBTour. R&D team with over ten years' industry experience, in-depth business understanding and outlook, and efforts to build up the best booking management system for overseas destinations. Rapidly allocate, launch and apply. Distributed storage with international top-class safety certification to safeguard information security. Peer competition, product and order analysis. BI strategy based on big data to accelerate decision making process.